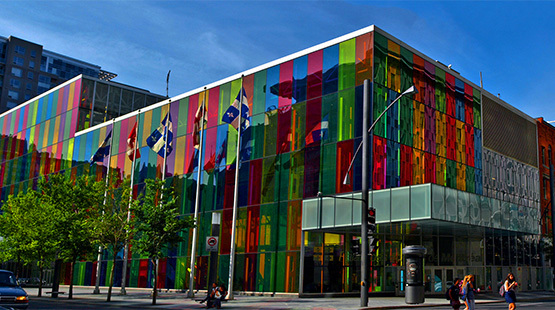 St. Lawrence Erectors guides you through every step of your projects by offering a variety of construction services that are adapted to your needs. Our goal is to provide a turnkey offering to help you simplify your construction process. In accordance with your needs, our team of experts will make every effort to provide you with optimal solutions, in the pre-project stage as well as during planning, design, fabrication and erection. 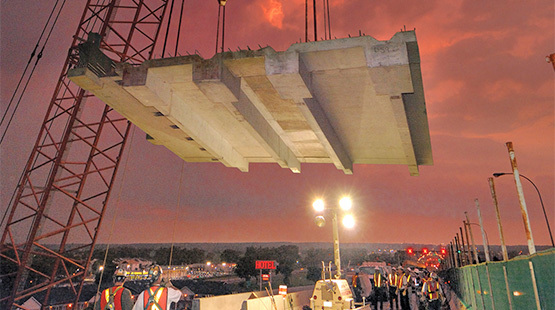 Since it was founded in 1987, St. Lawrence Erectors has successfully carried out a wide range of projects in both the public and private sectors: industrial and commercial buildings, office towers, bridges, multipurpose buildings, hydroelectric plants and wind farms. 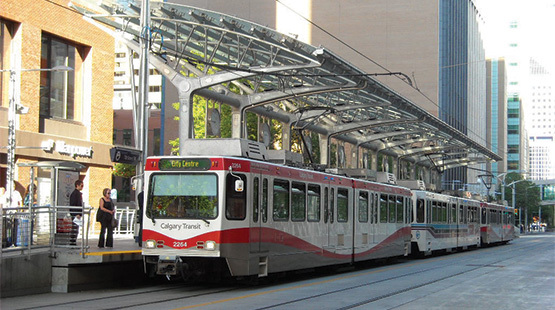 St. Lawrence Erectors knows how much time matters in the building construction field, and we are able to act quickly and adapt to deliver your project as soon as possible. We know your erection quality and jobsite safety requirements, and we are committed to carrying out your commercial and industrial building projects according to your expectations. 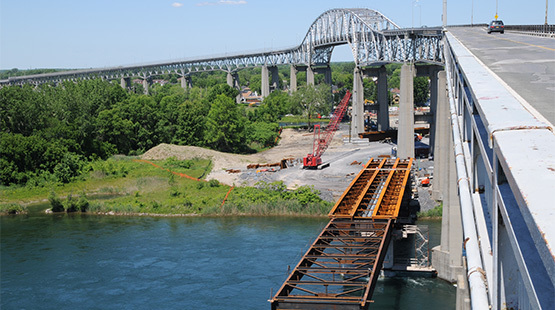 Over the years, St. Lawrence Erectors has developed solid expertise in highway and railway bridges, which generates added value for your project in terms of the construction schedule and budget. Our state-of-the-art equipment and team of professionals allow us to execute projects of all sizes according to your expectations. 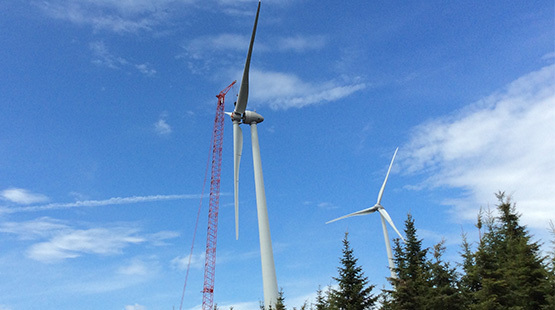 The expertise of St. Lawrence Erectors also extends to wind farms. We erect components in accordance with the industry’s high standards, and we have all the equipment needed to carry out your project within the required time and allotted budget.